A quick account of where I'm up to with D101, what we achieved last year and my plans for 2019 can be found on the D101 HQ blog. It's quite long and covers all our game lines. The State of D101 Games 2019. Every month, I’ll be writing a newsletter that lets you know what is going on in the world of D101 Games. Sign up by the end of January and I’ll enter you into a prize draw where the winner gets a game of their choice. The Road To Hell is an adventure for Lamentations of the Flame Princess and other Old School RPGs. It is now live on Kickstarter until Tuesday 30th October. Hearts in Glorantha issue 7 is now available for preorder via the D101 Games Webstore, pdf now with print following in about a week’s time. Just in time for its 10th Anniversary. D101 Games now has a Redbubble Store, where you can buy T-shirts, Mugs, iphone covers etc featuring artwork from our games. D101 wasn’t at UK Games Expo this year. So to make up for it I’m running a 25% sale at D101 Games’ Web Store until Friday 8 June . 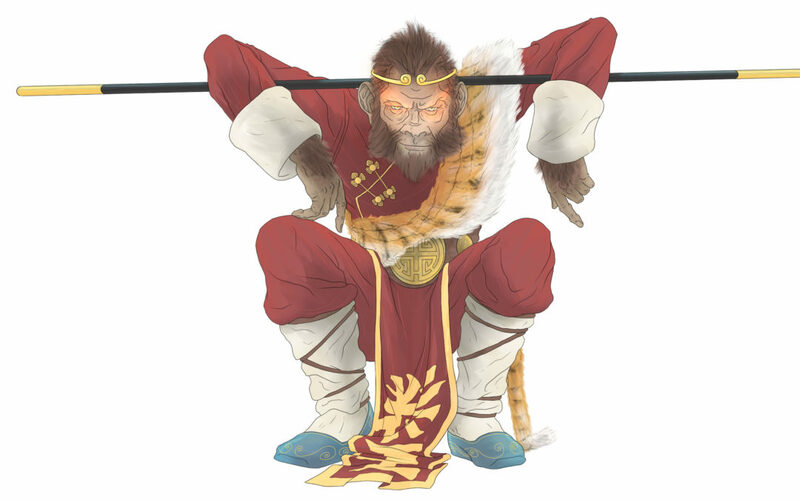 Monkey the Roleplaying game is now available to pre-order, in both hardcover and softcover format from the D101 Games Store. Get access to the pdf straight away and the printed version will be sent to you 2-4 weeks when I get copies from the printer.